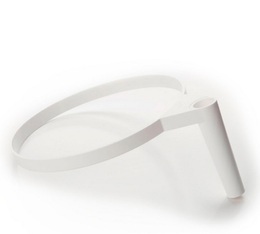 Official glass spare part for lower part of the Fellow Duo Coffee maker. Lower disc for Bodum 4, 6 and 8-cup French Press coffee makers. Replacement part for all Bodum 4-8-cup French Press coffee makers (500ml - 1 litre) with a stainless steel mesh filter. Spare glass beaker for Bodum 4-cup (500ml) French Press coffee maker. This spare Bodum glass beaker is suitable for all BODUM 4-cup French Press coffee makers, except the "New Chambord" and double wall coffee makers. Spare glass beaker for Bodum 3-cup (350ml) French Press coffee maker. This spare Bodum glass beaker is suitable for all BODUM 3-cup French Press coffee makers, except the "New Chambord" and double wall coffee makers. Lower disc for Bodum 12-cup French Press coffee makers. Upper disc for Bodum 4, 6 and 8-cup French Press coffee makers. 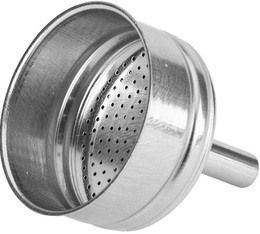 Replacement part for all Bodum 3-cup French Press coffee makers (350ml) equipped with a stainless steel mesh filter. Shiny metal filter plate, for 4-6-8-cup Bodum French Press coffee makers. Bialetti filter funnel for 4 cups moka pot (Induction models such as Bialetti Venus, Musa, Kitty, etc...). Shiny metal filter plate, for 12-cup Bodum French Press coffee maker.